Successfully Added Xiaomi WOWStick 1fs Electric Screwdriver Set - 18 Magnetic Steel Screw Bits, Aluminum Body, LED Light, Manual & Electric Mode to your Shopping Cart. With this all-in-one electric screwdriver set from Xiaomi, you’ll be able to easily repair your phone, tablet, glasses, personal computer, and more. Coming with a total of 18 magnetic screw bits, this universal screw set can be used to fix any item in your household. The screw bits have been crafted out of durable S2 steel whereas the pen itself is made out of high-quality aluminum. It comes with a useful and easy to carry box that allows you to conveniently carry along your screwdriver set anywhere you go. The XiaomiWOWStick 1fs electric screwdriver set is powered by two regular AAA batteries. For extra usability, you’ll be able to use this gadget at both a manual and electric operation mode. Thanks to its built-in LED light, you can use it effortlessly in dark environments. The screw driver comes with a comfortable grip and is easy to use for anybody out there. 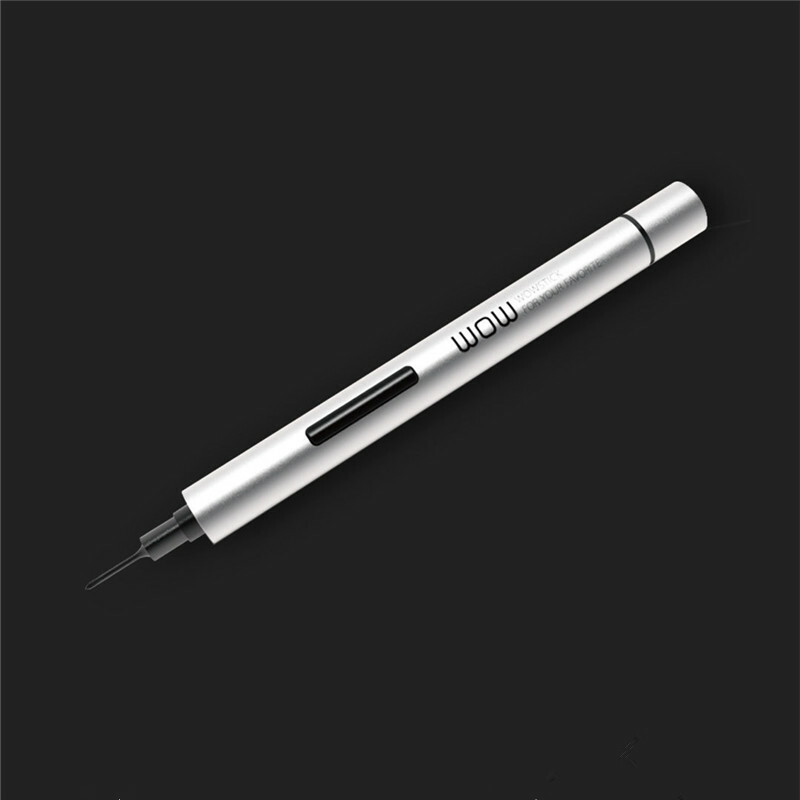 If you’re looking for a compact little gizmo that will help you repair any of your electronic gadgets, this universal screwdriver set from Xiaomi is perfect for you. This electric screwdriver set comes with a 12 months warranty, brought to you by the leader in electronic devices as well as wholesale electronic gadgets..